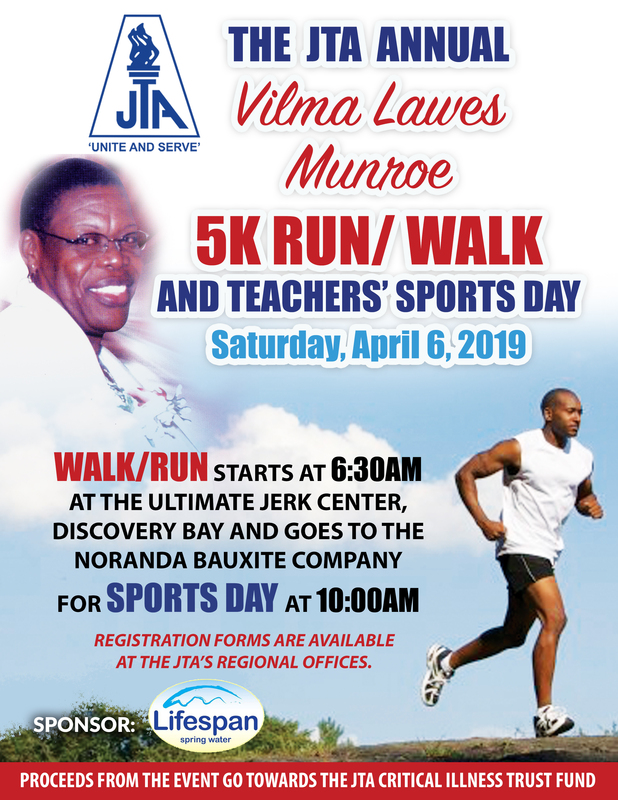 The Annual JTA Vilma Lawes Munroe 5k Run/Walk for Saturday, April 6, 2019. The event sponsored by Lifespan Spring Water will run off at 6:30am from the Ultimate Jerk Center, Discovery Bay. St. Ann to the Noranda Bauxite Company for sports Day starting at 10am. RUN/WALK: Registration fee for adults is one thousand dollars ($1,000.00) and children under 18 years is three hundred ($300.00). Group rate of ten will pay eight hundred dollars ($800.00). Registration forms are now available at JTA Regional Offices and Head office, 97B Church Street, Kingston.